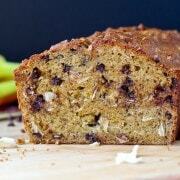 Healthy Whole Wheat Banana Bread with Chocolate and Coconut. You’ll love the chewy but still moist texture of this healthy bread. The chocolate chips are perfection with the banana and coconut! Whole WHAT? Whole wheat, baby! And guess what, you can’t tell! Ha. Okay. Dorkiness aside, I use whole wheat flour any chance I get. Many times you can’t tell it’s there, but sometimes you can. And when you can, oftentimes it’s better! I love the texture and flavor whole wheat flour adds. I’ve been making this banana bread for YEARS. The post is terribly written, the photos are poorly lit, but the bread is killer. (I’ve actually taken new pictures of it but haven’t had the chance to update the post.) I never make it with all-purpose flour anymore like that recipe is written, I always use whole wheat. It’s still super moist and perfect. If you’re loving the sounds of this so far – you can also check out my banana bread muffins, based on the same recipe. And OH YEAH – chocolate banana bread too. But – I might have to make this once or twice in the future because I love the coconut in it. You could go with a less obvious, smaller, shredded coconut to get it by the coconut skeptics. But I’m obsessed with Bob’s Red Mill flaked coconut. (Not sponsored, by the way!) I love the huge pieces of coconut. They give this bread such an awesome texture and flavor. This coconut is amazing in granola too. PS: Coconut, chocolate and banana – a trio that’s just meant to be. Heat oven to 350 degrees Fahrenheit. Spray a 9 by 5-inch loaf pan with nonstick cooking or baking spray, set aside. On top of the banana mixture, add flour. Make a small well in the flour and add baking soda, baking powder and salt. Stir gently to mix the dry ingredients into each other on top of the wet ingredients. Stir everything together until just combined. Fold in coconut and chocolate chips. Pour into loaf pan and bake for 50 minutes to an hour or until a knife inserted in the middle comes out clean. Note: This freezes well. I almost always double the recipe and wrap one loaf in foil, then put in a freezer zip-top bag and freeze. Husband’s take: Oh, you know. Changes I would make: None! Sorry Ben! Looking for more delicious quick breads or muffins? 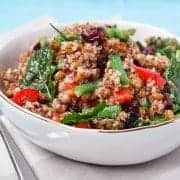 Try: Healthier Pumpkin Bread, Maple Stout Quick Bread, Carrot Cake Muffins with Cream Cheese Filling, Red Velvet Quick Bread with Cream Cheese Filling from Taste and Tell, Cinnamon Swirl Quick Bread from Something Swanky, or Lemon Pudding Quick Bread from Wine and Glue. And oh hey, a Pinterest board devoted to quick breads and muffins! Tons of inspiration on there. 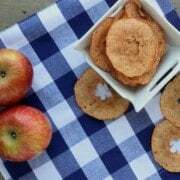 Follow Rachel Cooks | Rachel Gurk’s board Muffins and Breads (non-yeast) on Pinterest. … definitely, i’d be trying that. I am loving all that texture in the bread – looks amazing!! 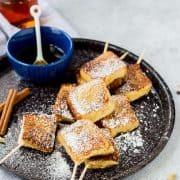 Both whole wheat flour and cornmeal are totally underrated! They both give so much texture an flavor. 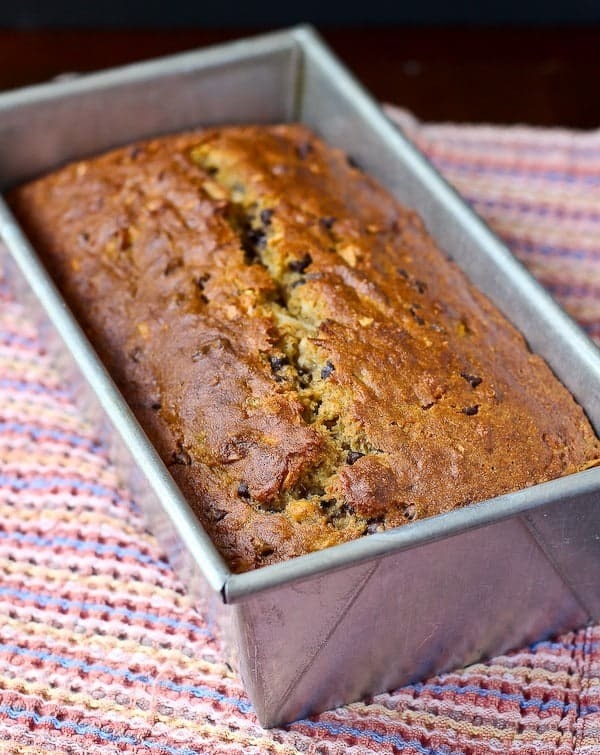 I love a good banana bread – this one looks SO yummy! This bread sounds fabulous! I love banana bread a million times over. Can’t wait to try this healthy version. We’re on the same wavelength with our whole wheat banana breads today! 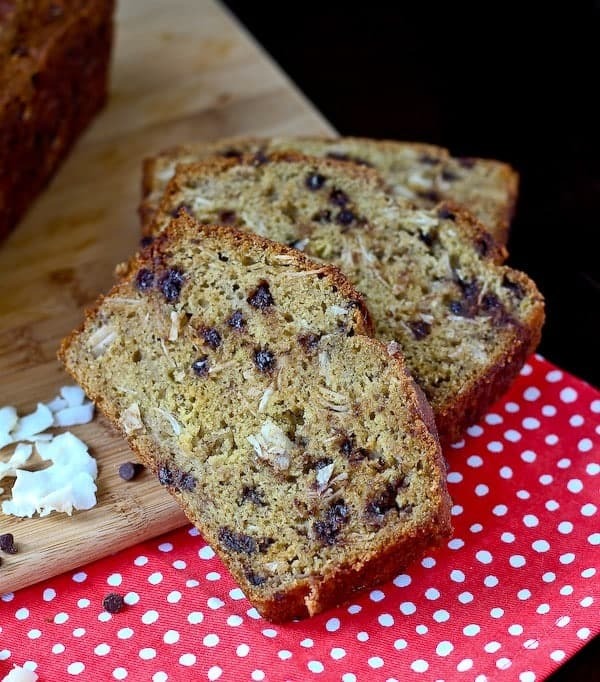 :) I never would have thought to add coconut to my banana bread but now I’ve just got to try it! 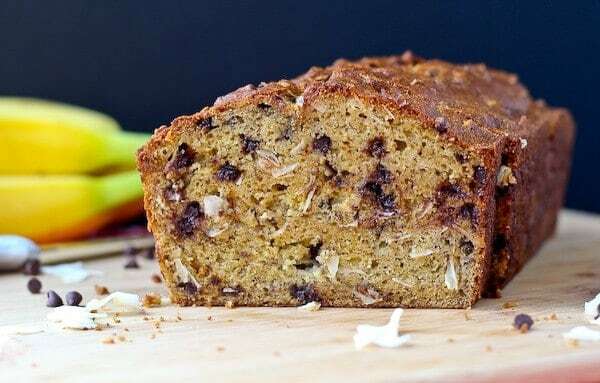 Hi Rachel, I love banana bread, I must have 4 recipes of different versions on my blog, yours is a must try, love the healthy version and all the chocolate and coconut. Have a great week. 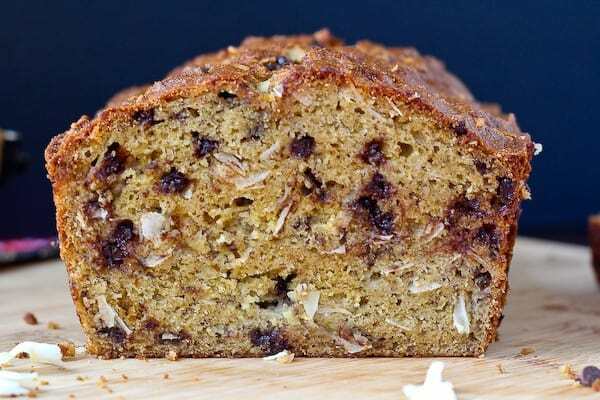 This looks wayyy more delicious than the average banana bread! !